- How much is the RE Salesperson Pre-Licensing Course and what does it include? The RE Salesperson Pre-licensing course is $249 for the live, distance learning and self-paced video course. This price includes the course and all supplemental materials (book, online access to practice quizzes and review material). - How long is the course? Each session is 40 hours and is broken up into four 10 hour days. The classes are held either consecutive weekends (Saturday, Sunday, Saturday and Sunday) or Thursday-Sunday. - Can I take the course online from home or do I have to be present in a classroom for my hours to count? - What if I can't attend all 40 hours of live course instruction? You are able to make up any missed hours in our lab in a self-paced video instruction format. The lab is located across the hall from our live conference room and is typically open Monday, Wednesday and Friday from 10am-7pm and Saturdays and Sundays from 10am-5pm. - I am a former student and missed the 2 year deadline to take the Salesperson exam. Do I have to retake the entire course? Yes. The state of Masachusetts requires that after a 2-year lapse, you must re-take the entire 40 hour course. We do offer a 50% discount for returning students who are re-taking the same class after the 2 year time limit. 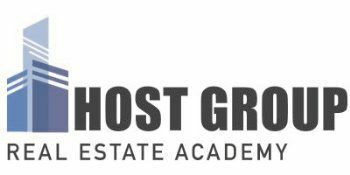 Please email us at info@hostgroup.us for more information. - I have taken the class less than two years ago but have not taken the exam yet. Are there review materials for me to use for studying? You can purchase an online crash-course review here: https://www.getmycecredits.com/collections/exam-prep or email info@hostgroup.us for an extension on your supplemental course materials. - I am having trouble accessing my supplemental materials (Litmos or QBank) and/or the videos are not playing. What should I do? First, try logging out of your account and then back in. Next, try changing your web browser. If you are still experiencing difficulties, please contact info@hostgroup.us so we can help you troubleshoot or refer you to online tech support. - Why is my progress still showing "incomplete" and has not turned green if I have already finished a module on Litmos? The videos on Litmos must run the ENTIRE length, including all of the credits at the end. If you stopped the video after the course content finished but did not allow the video to run the full length, that is the most likely cause of a completed module still being grey and showing "incomplete".